If you’re looking for a reason to celebrate, this birthday cake-inspired slime is definitely a good one. From glitter slime to fluffy slime, there’s a slime for everyone. This birthday cake version, though, looks exactly like “Funfetti” cake. Whip out slime at a party and you’ll spend half the time being the focus of the room. Or even better, throw a slime party and make this, stat. 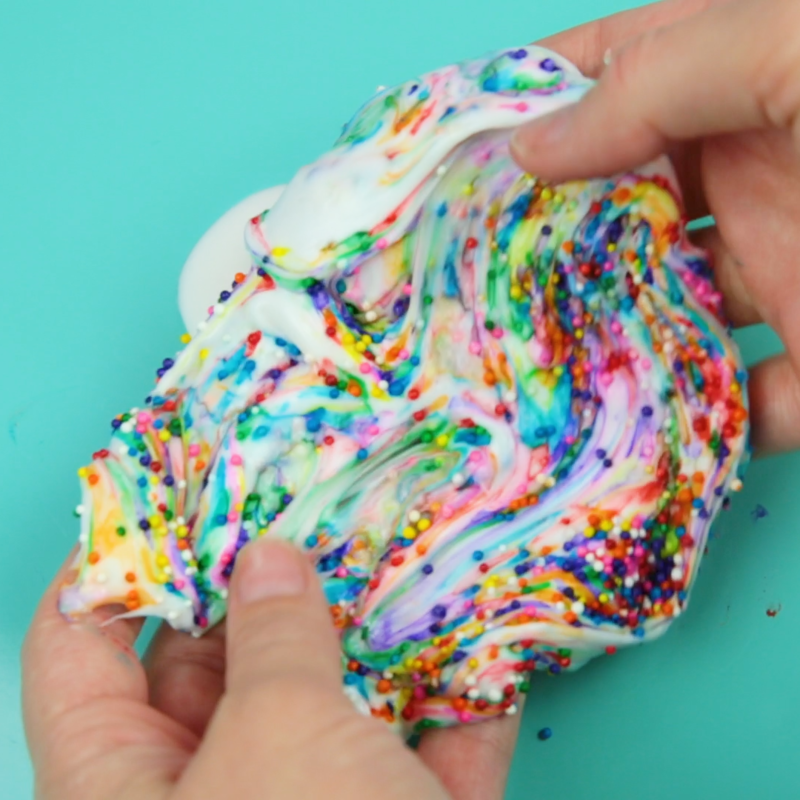 Grab your favorite sprinkles and enjoy all the rainbow colors as they melt into the slime. Watch the mesmerizing video and find the full instructions below. 1. Pour the glue into a bowl and add the baking soda and shaving cream. Stir until combined.